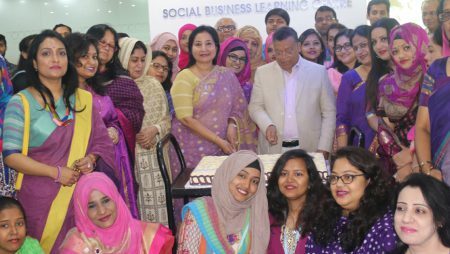 The first working day of the New Year, 2018 of Grameen Telecom Trust (GTT) started with a New Year celebration program organized at its Social Business Learning Centre (SBLC). 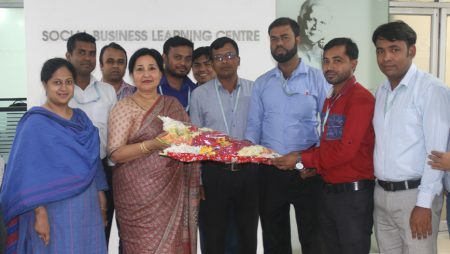 The program was inaugurated with a welcome speech by Ms. Parveen Mahmud FCA (Managing Director, Grameen Telecom Trust) where she expressed her joy and thanked the staffs for the successful completion of another year of the company and emphasized on team building spirit. 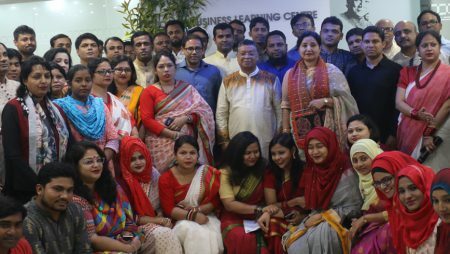 Following was a year end video on the activities of GTT in 2017. 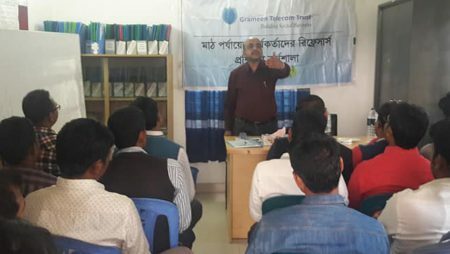 Mr. Ashraful Hassan (CEO, Grameen Telecom Trust) also spoke about the potential growth of the company and expressed where he wish to see GTT in the near future. 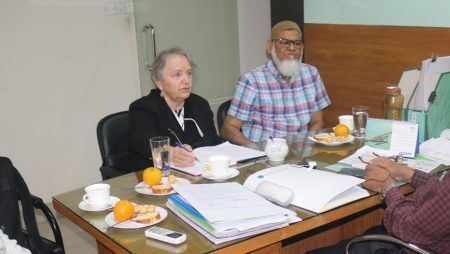 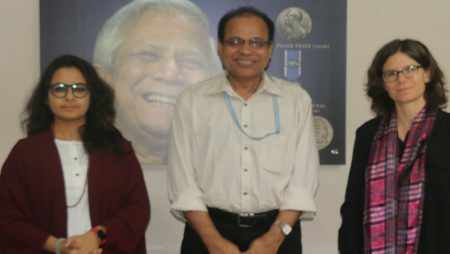 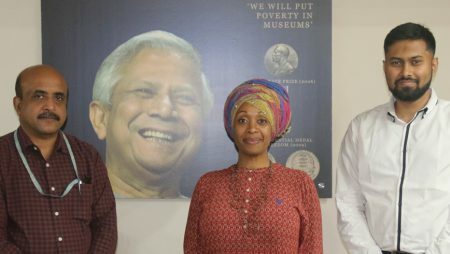 Professor S.M.Huzzatul Islam Latifee (Vice Chairman and Trustee) and Ms. Nurjahan Begum (Board of Trustee, Grameen Telecom Trust) were also present. 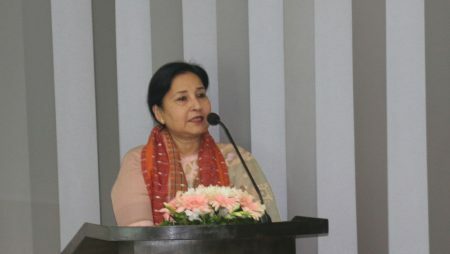 Professor S.M.Huzzatul Islam Latifee gave a short speech and wished everyone a happy new year. 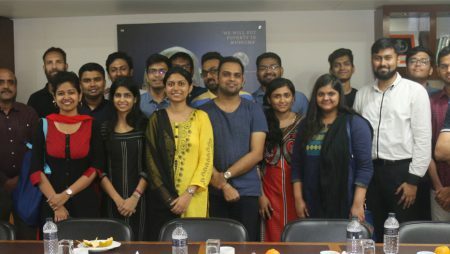 A cultural show was also performed by the employees of GTT comprising of songs, short play and poem recitation written by Ms. Aditi Kabir (Assistant Manager, Grameen Telecom Trust). 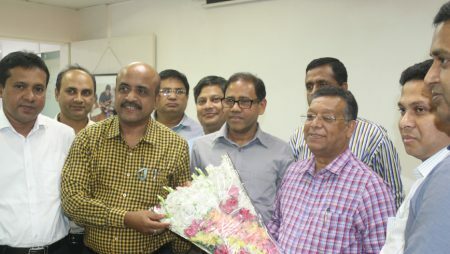 The program ended with New Year Cake cutting and photo session followed by lunch.